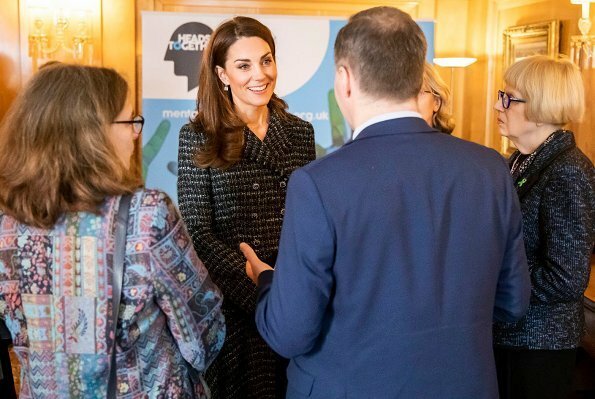 On February 13, Wednesday, The Duchess of Cambridge attended The Royal Foundation’s ‘Mental Health in Education’ conference at Mercers’ Hall in London. 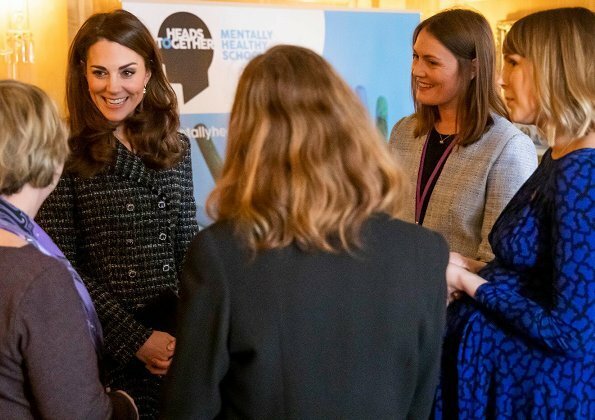 The Duchess of Cambridge met with Head Teachers from a number of schools that are currently piloting The Royal Foundation’s ‘Mentally Healthy Schools’ programme. Excellent but I would prefer the original jacket with a pencil skirt. Alexander McQueen is one of the best fashion houses worldwide. Yes, imo a matching pencil skirt with the jacket (which I initially thought had to be Chanel!) would have been classic elegance; I was surprised to see the short-ish, twirly skirt when I scrolled down the photos. 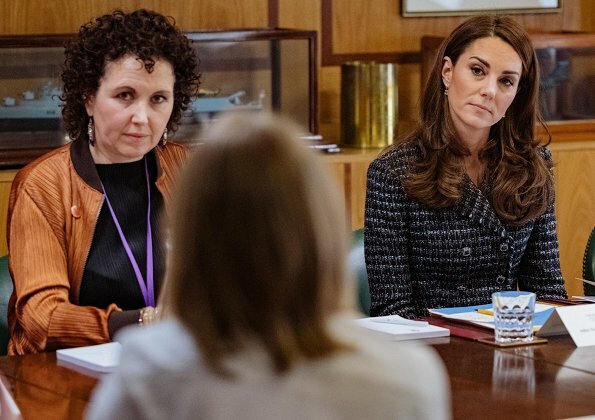 While I'd have preferred a pencil skirt that just grazes the top of the knee, I think Catherine is perhaps enjoying a last sartorial foray into youthful styles while she is still young enough to look good in them. (Meaning, we all reach a stage in life when short, twirly skirts come across as "trying too hard" and Catherine probably is cognizant of that.) She looks really cute and well-put-together here, but I'm glad the skirt isn't any shorter. Yes, I agree about the skirt and "trying too hard," a very youthful look. Cute, but somehow not quite a professional look anymore. wow... I had not read this comment before posting mine! Glad someone else share my view! 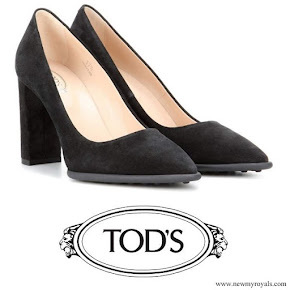 Classic, professional, but also feminine and pretty with the skirt. Perfect! Love it! Hair is beautiful! Beautiful Kate in beautiful suit! Dailymail calls that outfit prim and demure but I really don't think so. In my opinion it's a wonderful and modern way to wear such an outftit. It has a bit of 'girly' touch with the shape of the skirt (wonderful skirt!) and a chic touch with the dark tights. The hairstyle also is fresh and very nice. So I like this outfit! I like it too. But in my honest opinion, the skirt could've been a few inches longer. She also could have carried a coloured clutch, her burgundy one for example, to add more colour to the outfit. Today stunningly beautiful after a long time. It is Dolce&Gabanna, not Macqueen. 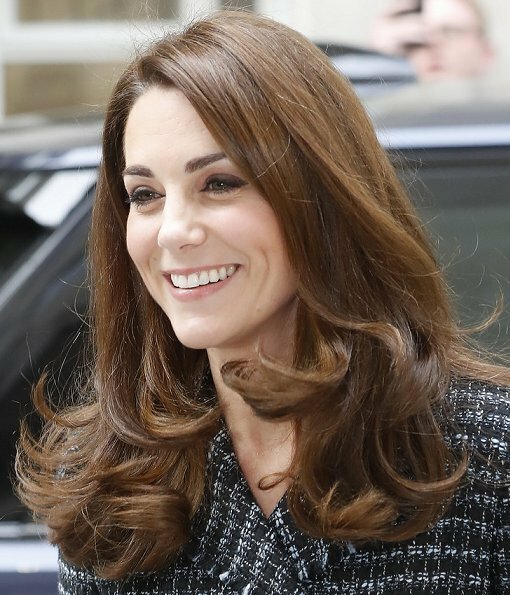 Kate is prachtig in deze tailleur en ze heeft mooie haren. She looks stunning, but how I hate those shoes!! the skirt and jacket designs do not fit together. There's a strange point in between. I like the jacket. I don't think it's McQueen. 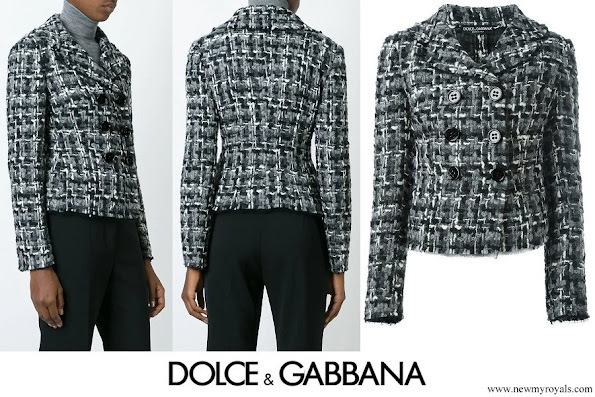 Another site said it was Chanel, but I think it's Dolce e Gabbana. I saw something like it on their window in NYC some months back. It's lovely in any case. Oops! The Daily Mail just identified it as Dolce. What a fantastic outfit. I know she has worn something similar but this is fresh, smart professional. She really suits the shorter flared skirts as swell as the more formal pencil ones. Actually, there are few things that don't look smart on this classy lady. Agree, for me it is too girly. 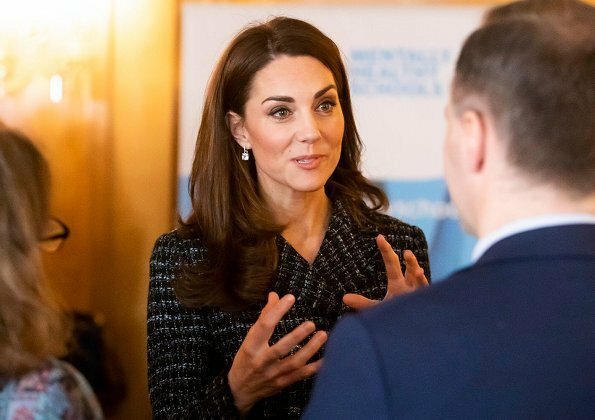 Don't get me wrong for I love many an outfit that Kate wears but think some pencil skirts could work as in this instance. I feel like she is approaching an age where the tights and short skirts are for a younger age group and before anyone jumps on me she wears most clothing very well and while I am 65 I have worn some skinny jeans and things. Just wanted some more variety from the lovely Kate. I agree with the pencil skirt postings. Now,look at the photo with the wide gesture of her hands. She does these hand gestures a lot, as evidenced in photos and videos. 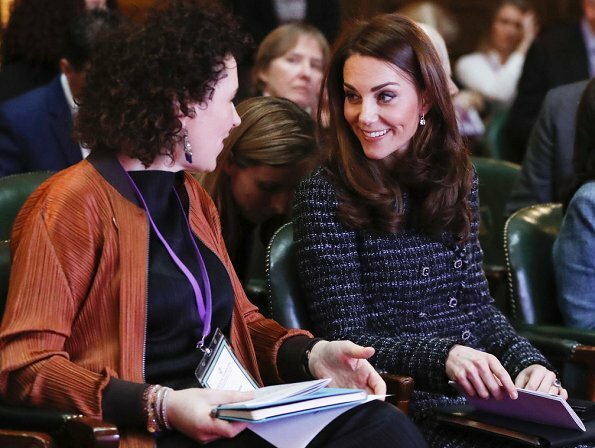 I wonder if that was part of her training to give her a more engaged speaking style? Lovely look. I would like to see the jacket with a black pant or skirt. Ahhh! I hate to say that I don't like this skirt. It is just too young looking. As others have stated, a pencil skirt would look so much better. I also like the pants that the jacket is shown with. I don't like her shoes either. She had a miss with the buckle shoes for me, now these. She can do so much better. I don't like the skirt. Looks so childlish on her.